Bikes vs Cars premiers in Rochester this Wednesday kicking off a full line-up of events for Rochester Bike Week 2016. Starting as a Kickstarter project in September 2013, this much anticipated film tells of the modern bike revolution in cities across the world. Reserve your seat with a donation in any amount (either online or at the door) and you’ll also be entered into a raffle to win a $25 gift card for Abundance Food Co-op or Towner’s Bike Shop, OR a $20 gift card for Harts Local Grocers! Click here for the latest Street Films information. 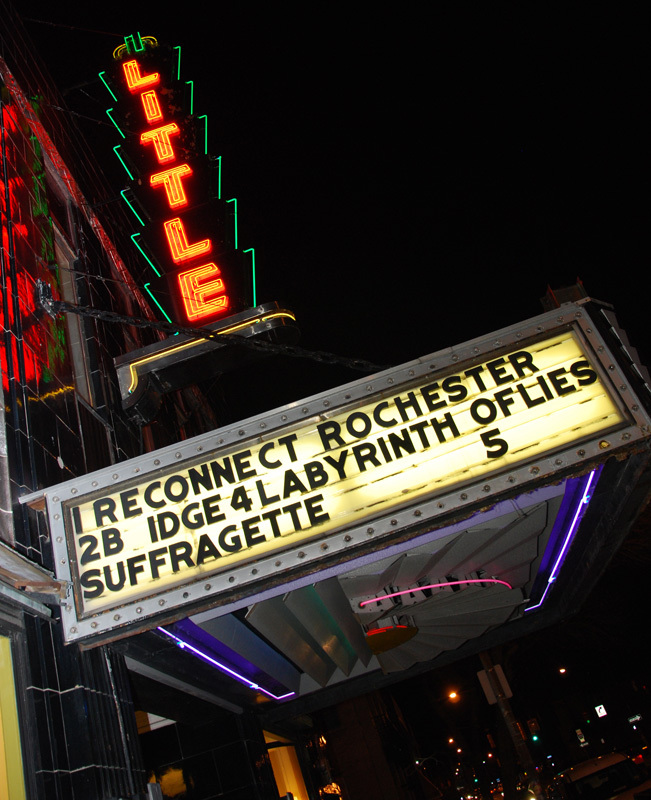 Join us at The Little Theatre on November 19, 2015 for the first ever Rochester Street Films event. 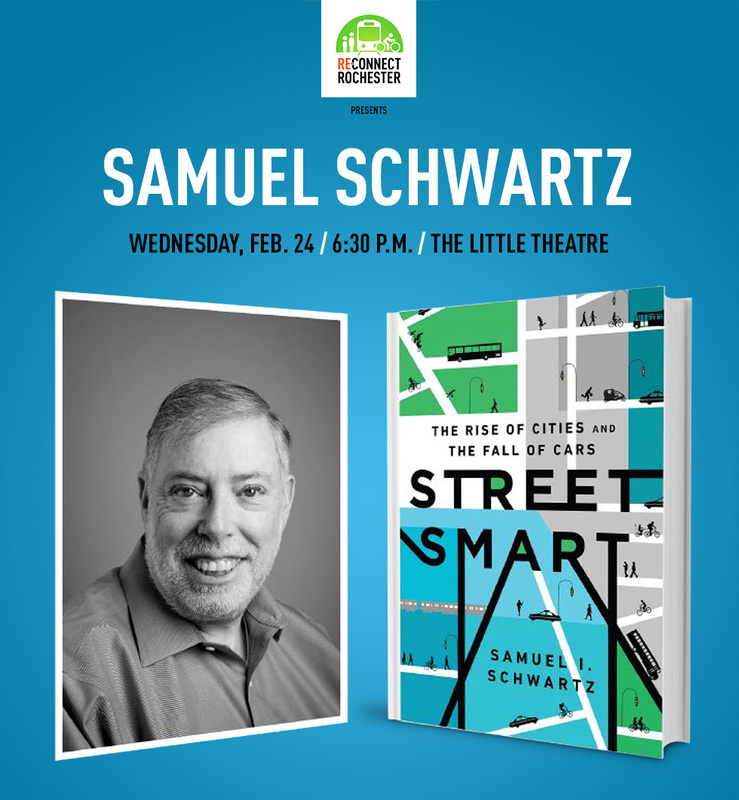 Through short film clips and community discussion moderated by Rachel Barnhart (WROC-TV) we will explore “the future of transportation” in and around Rochester—in particular, walking, biking, & public transit. will present “Transformation: Don’t be Afraid of It,” a talk by Peter Park, planning director for Denver. 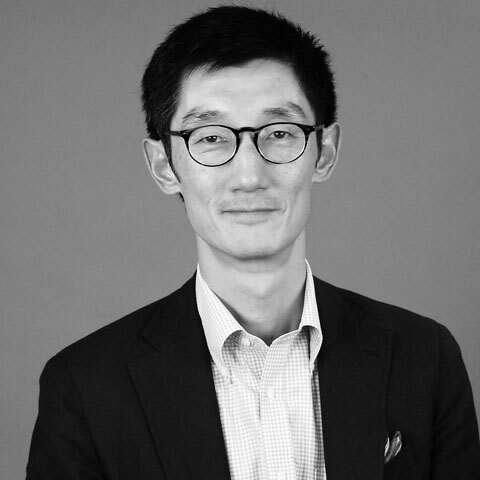 Peter Park will take us through a genesis of the transformative process in Milwaukee, Wisconsin during the 1990’s where he was a key player in planning and implementing the creation of the River Walk, a downtown revitalization project , for more than a decade. Reconnect Rochester is a 501(c)3, non-profit organization working to build a more sustainable transportation network for the greater Rochester community. Need a bus stop seat? Pin it here. We'll typically reply within 24 hours.